I discontinued Netflix a few months back as I started to watch movies & tv shows streamed to my TV via my Playstation 3 using Tversity media server. 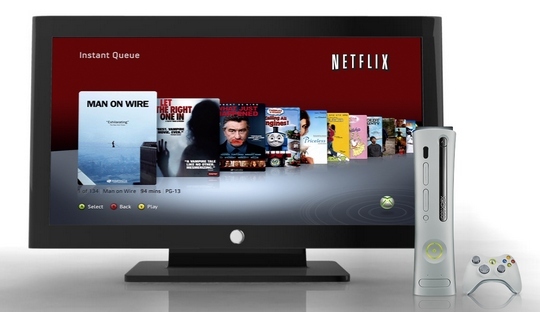 Netflix so far had supported XBox 360 for streaming movies and TV shows from their Instant Watch library. But there wasn’t official support for Playstation 3 owners. Finally, Sony and Netflix have announced that the Netflix streaming will be available to all Playstation 3 users with Netflix account starting next month. Playstation 3 is a great gaming platform, without a doubt. And I have been encouraging any friend of mine who asks me about getting a Blu-ray player to get a PS3. Here’s why: you are getting a Blu-ray player as well as a great gaming system with the ability to interface with your computer making a digital media server hub. One thing that has been putting off many people I know is the lack of Netflix Streaming support in Sony’s PS3 compared to Xbox 360. Now, both Sony and Netflix are set to benefit from this. Microsoft can’t sell Xbox’s just because it supports Netflix streaming anymore. Plus, Netflix has now access to Sony’s roughly 9+ million US customers and more than 25+ million worldwide. How to Enable Netflix Streaming in PS3? It sounds as easy as pie. Netflix will send you a Blu-ray disc. The disc will connect to the Internet and activate Netflix streaming in your PS3. I am so excited about this. Now, if only Netflix had streaming for all new releases, a streaming only plan, wouldn’t it be heavenly? So, you don’t have a PS3 or XBox to stream Netflix to your TV? Don’t worry I have some exciting news coming up in the next post on Roku – a set top box for streaming Netflix to your TV!